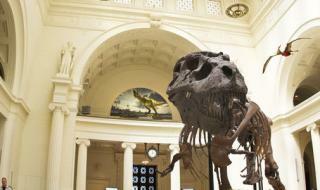 Top attractions and entertainment ideas in Chicago for groups of kids, teens, tweens. 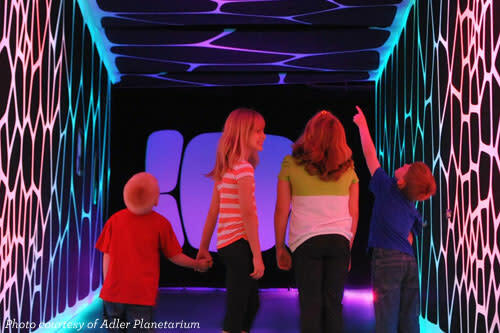 Turn Chicago into your playground and keep kids of all ages entertained, awe-inspired and, dare we say, educated with these exciting group outings. 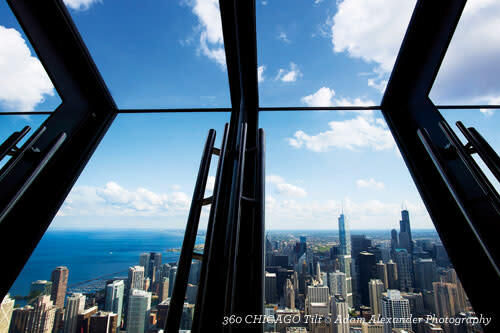 Amaze young and old at 360° CHICAGO (above) at 875 N Michigan (formerly the John Hancock Center), a 360-degree observatory on the 94th floor that also includes TILT, where everyone can lean 1,000 feet above The Magnificent Mile. 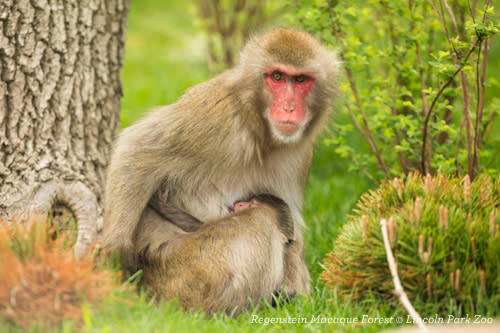 Open year-round, the Lincoln Park Zoo (below) is home to both native and exotic animals like lions, zebras and flamingos. From Lincoln Park, trek north to the famed Wrigley Field to see the Chicago Cubs in action, or tour the historic baseball stadium through an educational group tour. For an even larger selection of sports memorabilia, The Chicago Sports Museum features both an impressive collection of artifacts and interactive games for all ages. 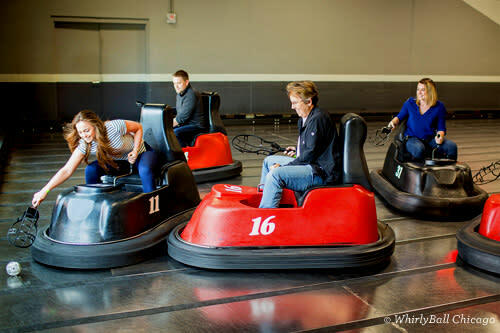 Keep the fun and games going in Bucktown at WhirlyBall, (below) which combines elements of lacrosse, hockey and basketball with bumper cars. Engage in hands-on activities at the Museum of Science and Industry. Or, plan an outing to the Peggy Notebaert Nature Museum, which offers group discounts and educational science and nature programs. 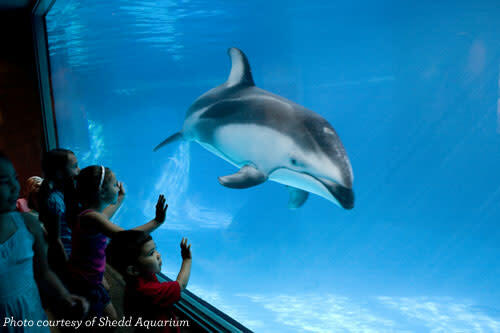 At the Shedd Aquarium, (below) one can schedule a field trip or partake in a learning lab that explores topics like the Great Lakes ecosystem. Groups are also welcome at Adler Planetarium, (below) which offers sky shows and talks with astronomers. Encourage smart financial decisions and get a behind-the-scenes look at the Federal Reserve Bank of Chicago with a visit to the Money Museum. Go back in time together at The Field Museum, which explores natural history and has state-of-the-art innovative programing for youth. A visit to Chicago is a chance to learn from some of the best actors, musicians, painters and dancers in their fields through master classes, backstage tours and educational talks. 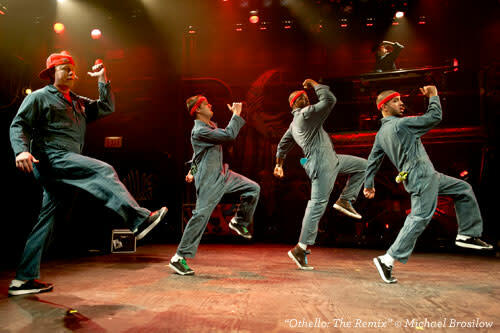 Meet with the enigmatic performers of the Blue Man Group, stay for a post-show Q&A with cast members at one of Broadway In Chicago&apos;s many musical theater productions, or see a play reserved for student audiences at Chicago Shakespeare Theater (below). For a peek at Chicago&apos;s comedy scene, visit the ComedySportz improv theater, which caters to all ages audiences and high school groups. The Lyric Unlimited school-based programing at the Lyric Opera of Chicago provides in-depth knowledge of both opera and classical music. 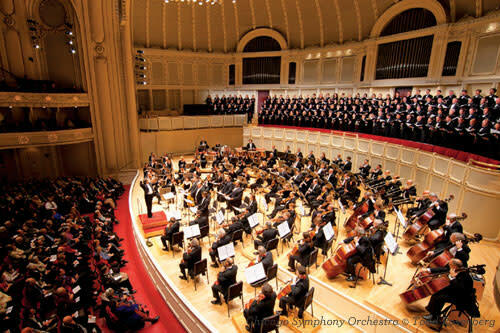 At the Chicago Symphony Orchestra (below), grades nine through 12 have the opportunity to listen in on an open rehearsal. Or visit Kidbilly Music, a songwriting workshop where groups create a tune together.